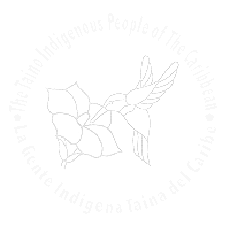 A Call for Taíno National Unity from Pedro Guanikeyu Torres. The Historical Foundation of Jatibonicù, Inc. is a non-profit educational cultural corporation of Puerto Rico (Boriken region). Maria Anani Jimenez, NiTayno-Na, UnderChief for Tribal Council issues concerning women. A set of links related to the Taíno peoples. Taíno-L. The Taíno Indigenous People messaging forum. Links to Taíno personal web pages. Please read "A Public Statement as of September 13, 1998" on the Jatibonicu Taino Caney Longhouse Home Page at http://www.taino-tribe.org/pnotice.html. The Tekesta Taino Band of Bimini Florida. 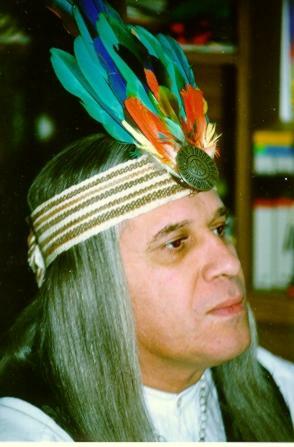 Elder Guanikeyu, surviving blood Chief of Jatibonicù Taíno Tribe of the Great People of the Sacred High Waters of Boriken. [Click on these images for larger views]. 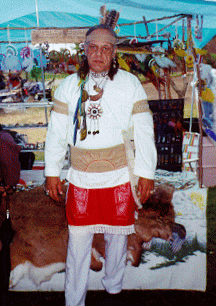 Bohike Frank Yuguaraguao WhiteEagle, Jatibonicù Tribal Medicine Man. Maria Anani Jimenez. 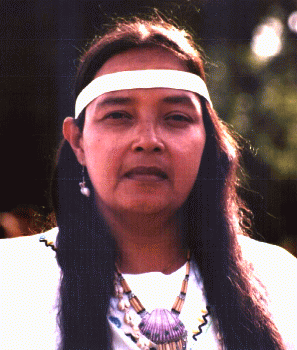 Anani is a Taíno spiritual woman who listens to her people. New Jersey Taíno Tribal Dance Group. 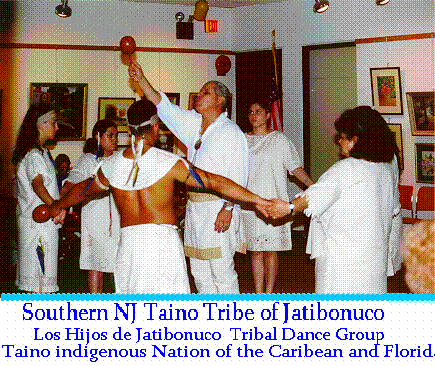 The Taíno Tribal Council of Jatibonicù of Boriken and its New Jersey Jatibonicù Tribal Band of Tainos, should not be confused with a club or a Native American civic organization. It is a "sovereign" and constitutionally established tribal government of the Taíno Tribe of Jatibonicù of the Great People of The Sacred High Waters of the Island of "Puerto Rico." Tribal members click to subscribe to the Taino-Tribe list.